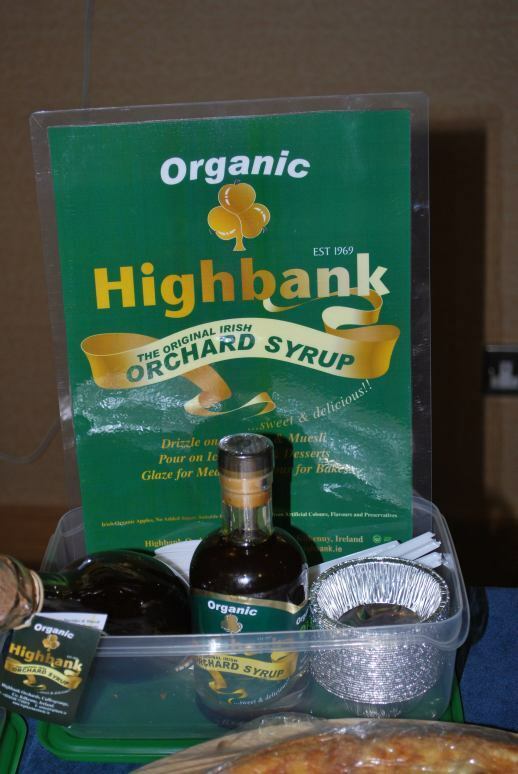 From an organic orchard (Highbank) which was first planted in the 17th century comes this Apple Syrup. 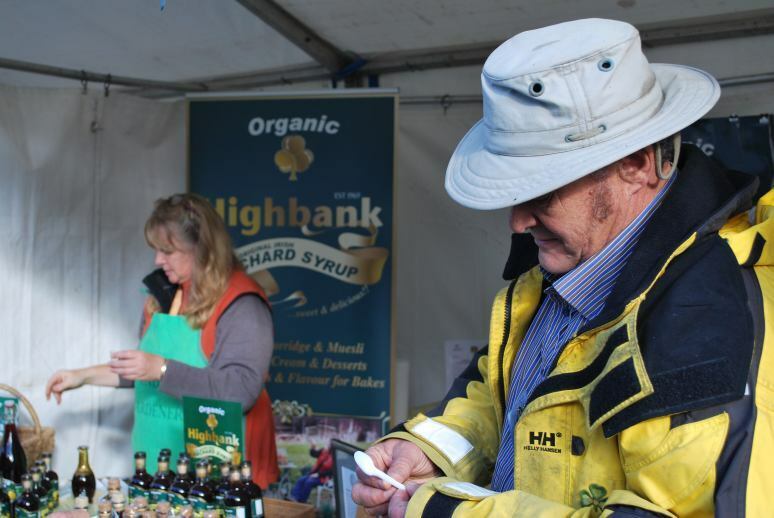 Ideal for drizzling on cheeses (for example) it was another artisan food product which saw the light of day at Foodcamp and then on into the Savour Kilkenny weekend. And in the second photo Julie and Rod Calder-potts show the product to the interested crowd. One of the most exciting new products we’ve come across. Lovely on porridge and in salads. I Look forward to trying some of this.